if you would like to receieve a hard copy, become a member. Read our Autumn Newsletter 2013 online now, just click on the picture. 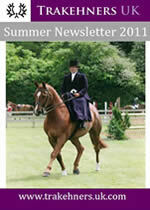 This is a great newsletter, as you can see from the front cover HRH Queen Elizabeth II has been given a Trakehner. Opposition Buzz and Nicola Wilson and many more great stories..
Read our Summer Newsletter 2013 online now, just click on the picture. 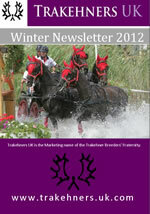 Read our Winter Newsletter 2012 online now, just click on the picture. 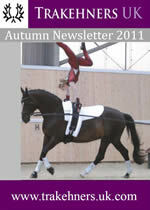 Read our Autumn Newsletter 2011 online now, just click on the picture. 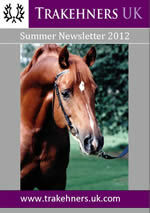 Read our Summer Newsletter 2011 online now, just click on the picture. 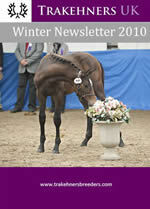 Read our Winter Newsletter 2010 online now, just click on the picture.